Motorbike Insurance From Just £69! Motorbike Insurance doesn't need to be expensive. Save ££ with us today! Policies From Just £69 Per Year! Experts At Saving YOU Money! We Aim To Beat All Quotes! We Compare Over 20 Insurers! Whether you’re a bike enthusiast, a casual rider or it’s your first policy, have peace of mind that you are dealing with experts. 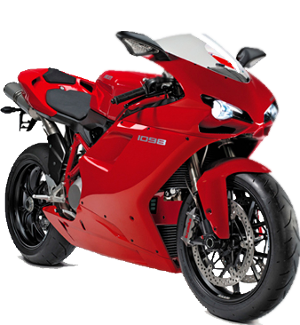 We offer cover for a broad range of vehicles from superbikes, sports bikes, classics, choppers and also imports. It’s our aim to get the best policy at the best price for you. Here at One Sure, you are talking to the specialists, we do the leg work for you, searching over 40 Insurance companies working with them to obtain the best policy and price for you. Our service doesn’t end there, we then ensure that you have a dedicated after service with an acceptance line and customer service helpline open Monday to Friday 9am until 7pm and Saturday 9am until 2pm, along with a claims line that is open 24/7. Just like car insurance, motorbike insurance coverage levels are of three types. You have the basic no-frills third party only cover, an upgrade on the third-party cover to include fire & theft and finally, a comprehensive motorbike insurance cover that includes everything. Third Party Only – The lowest motorbike insurance cover you need to legally drive a motorcycle (you also need the right motorbike license) in the UK. It protects against any third party damage you and your vehicle may be responsible for. Third Party Fire and Theft – This cover includes the basic third party cover but includes fire and self-ignition damage as well as attempted burglary and theft protection. Comprehensive Motorbike Insurance – The level of indemnity is the highest in a comprehensive cover as it protects you and your vehicle from all kinds of damages including accidental, malicious, windscreen, theft, fire and third party. Keep in mind that the more indemnity and coverage you seek, the higher will be your insurance premium. The alternative is to reduce your voluntary excess and thus include comprehensive coverage at a reduced premium. We don’t just insure motorcycles but all kinds of motorbikes, which includes scooters, quad bikes, classic motorcycles and even trikes! Each of these specialized bikes has unique insurance requirements. To know more give us a call and speak with one of our trained motorbike insurance executives today. Other than the kind of motorbike insurance you take, there are additional factors that influence your annual premium. Pillion Cover - Not every motorbike insurance will allow you to carry a passenger. Also known as pillion cover, you may need to buy this separately if the insurance you purchase does not include it as default. But don’t worry, we inform you of the extras you can buy when you take a quotation from us. The Motorbike Make And Capacity – Higher the power of your motorbike, greater is the risk of accidents. Naturally, high powered vehicles tend to attract a higher cover and thus a larger annual premium. Remember, you need to have a valid motorbike license to drive differently powered motorbikes. To know more on the different license categories for motorcycles, read the gov.uk guidelines and license requirements page. Your Age – Insurance companies determine the premium using risk statistics, and unfortunately, age is one factor that isn’t in your control. Younger drivers have to pay a higher premium to get a motorbike insurance, but the premiums go down as you age. If you are above 25 years, you can expect lower premiums. Your Experience – We offer quotations from insurers only after considering your experience as a motorbike enthusiast. The annual mileage and your past driving experience together give us a better picture of your risk profile. Naturally, the longer you have been riding a motorcycle without an incident, the lower your risk to an insurer. However, if you ride a lot or have a high annual mileage, you naturally attract an increased risk of road accidents. Remember, high risk profiles attract a higher premium. No Claim Bonus – If you have accumulated NCB from previous motorbike insurance, you can reduce your next insurance premium. Some insurers may entertain the NCB from your car insurance. Inform us if you wish to use the NCB from your car insurance. Motorbike Security – The harder your bike is to steal, the lower your premiums are. Thus, a locked garage at night, the use of insurance industry certified bike locks, immobilisers and ground anchors can go a long way in bringing down the cost of motorbike insurance. The Voluntary Excess – As with any insurance, the more voluntary excess you choose, the less you pay for insurance. Ask yourself, how much can you bear in the event of a mishap. That is your ideal voluntary excess. We are flexible – from your insurance requirements to payment methods we work for you! Rewarding careful drivers - we offer a No Claims Discount of up to 50%, with opportunities to protect it! Increase your cover – we offer additional products to run alongside your policy to provide the best cover possible! Limited Offer of 2 months free Breakdown with every policy purchased! To take out your One Sure motorbike insurance policy and get covered today, call us on today. Or complete the short motorbike insurance quote form and we will call you back!